Every couple of weeks I have the need to clean off my workspace. I've been very busy working on some new projects, so all the leftover rejected items have accumulated and need of a home. I sorted everything and selected a few items to make this card. 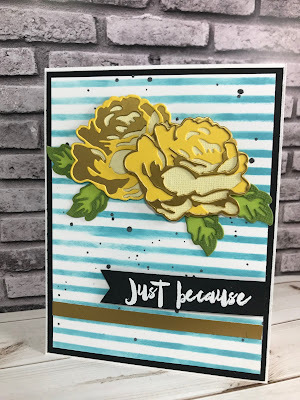 Altenew Sketchy Floral Stamp set. Check out the video for complete instructions. Thanks for stopping by, and have a great weekend.